Marrel is the CSS as used on Inktweb.nl. This toolkit contains the components we most commonly use in our websites. This prevents us from writing new CSS or copy/pasting in things like <form> styling and buttons. Thus creating a more uniform design across our sites and making it easier for others to use and improve the code. This is heavily inspired by Github's Primer and @mdo's talk Build your own Bootstrap. As a way to give back (and as a thank you) this code has been released open-source under the MIT license. The name comes from an abbreviation from Margin Release. A btn often found on typewriters which allows you to write on the margins of a page. 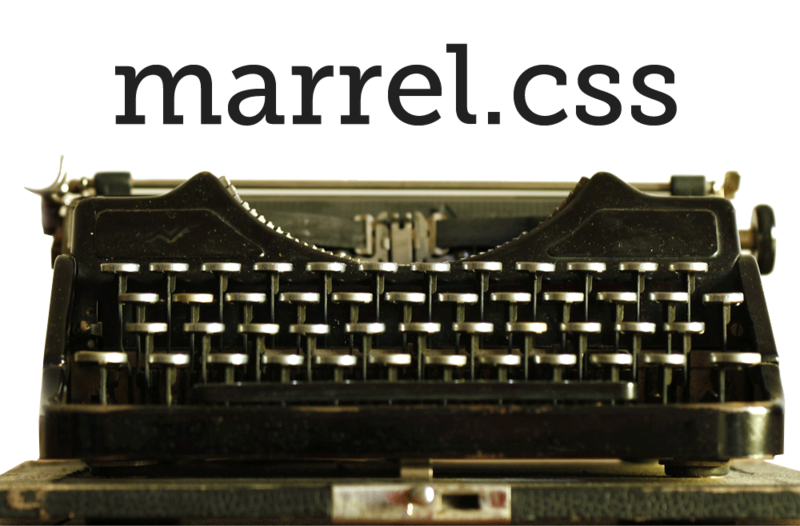 Marrel is built with Sass on top of the grid system from Bootstrap (via Bootstrip) and normalize.css. The end goal is not to create a toolkit that works for every use case but instead provides a solid starting point. Therefore the code does not contain twenty table styles and ten button sizes. Still — when using this we encourage you to write as few new lines of CSS as possible and opt for less is more.